Kervin & Barnes is an established Mayfair practice providing first class employment law advice to Senior Employees and Companies in a range of sectors. Our employment law solicitors have practised in the City and in house at financial institutions. We will take you through any employment law issue always having the practical and commercial in mind. 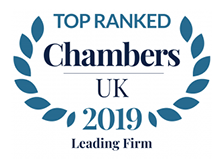 Our pro-active approach along with our experience, knowledge and skills is why we are listed in the foremost legal directories (Legal500 and Chambers & Partners). We appreciate that you – as an HR director, business owner, senior employee, director or partner – are busy; we want to make life easier for you and will do so when you pass your matter on to us. Then you can concentrate on other aspects of your job. We are focussed on your goals – whether that is implementing a reorganisation or redundancies, litigating restrictive covenants as a business or an employee, agreeing a settlement agreement package. We are an experienced employment law firm, taking action on issues such as making or receiving protective disclosures, raising a grievance, commencing performance management, instigating a disciplinary, dealing with redundancy, advising on TUPE transfers, training your team on Equality Act matters. Our employment lawyers can advise you on any dismissal matter or litigating Employment Tribunal, Employment Appeal Tribunal or civil court actions (amongst others). With decades of experience, Kervin & Barnes employment lawyers London have come across your issue before and dealt with it effectively and efficiently. Contact us by telephone or email directly anytime (or send a general enquiry here) and Kervin & Barnes employment solicitors London will run through your needs and how we can assist. 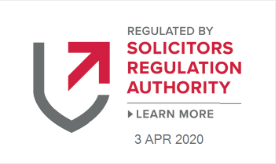 If you would like to browse through our numerous resources then they can be found here; and our most recent legal updates are here. Copyright © 2019 Kervin Barnes Ltd.